The European Court of Human Rights (ECHR) in Strasbourg on July 25 ruled on a first claim against Ukraine over the loss by the Ukrainian government of control of areas in Luhansk region (No. 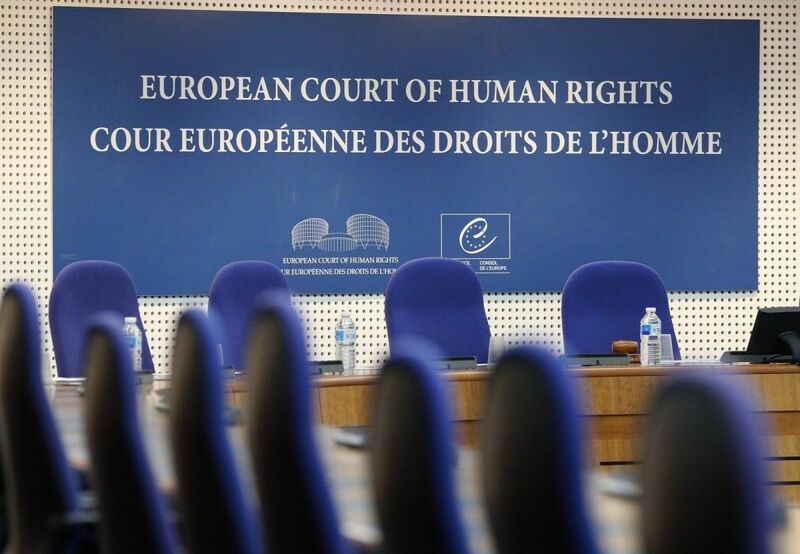 2945/16), stating that there is no violation of the right to a fair trial and Ukraine bears no responsibility for the violation of human rights in uncontrolled territory, according to the ruling posted on the ECHR's website. The applicant, Oleksandr Khlebik, is a Ukrainian national who was born in 1974 and lives in Nizhyn in the Chernihiv region, Ukraine. The case concerns his complaint that the domestic courts were unable to examine his appeal against his conviction for a series of armed attacks in Luhansk region, because his case file was blocked in an area that was not under the Ukrainian government's control, the legal summaries of the Khlebik v. Ukraine case provide the background. In April 2013, Khlebik was convicted by a court in Luhansk region of, among other things, banditry and armed robbery; he was sentenced to eight years and nine months' imprisonment. His appeal against this conviction was still pending when hostilities started in eastern Ukraine in April 2014. He remained detained in Starobilsk remand prison, awaiting examination of his appeal, located in the part of Luhansk region controlled by the Ukrainian government. However, his case file remained with the Court of Appeal, in Luhansk, which is not under government control. When the Court of Appeal was relocated to Sieverodonetsk, in the government-controlled area, Khlebik complained about the delay in the examination of his appeal. He was told that the appeal court could not examine his case as his file was blocked in Luhansk. He also applied for release on several occasions between May 2015 and February 2016, without success. He was nevertheless released in March 2016 as he benefitted from a legislative reform which had in the meantime been adopted permitting release of individuals who have served at least half of their sentence while in detention on remand. According to most recent information, Khlebik's appeal against his conviction is currently still pending before the Court of Appeal. Relying on Article 5 Clauses 1 and 5 (right to liberty and security/right to compensation), Khlebik complained about his detention from April 2013 to March 2016. Further relying on Article 6 Clause 1 (right to a fair trial within a reasonable time) and Article 2 of Protocol No. 7 (right of appeal in criminal matters), he also complained about the domestic authorities' failure to enact legislation allowing for his appeal to be effectively examined. Read alsoUkraine submits new evidence to ECHR over Crimea annexationThree possible avenues had been suggested by the applicant: (i) requesting the assistance of the Parliamentary Commissioner for Human Rights to obtain the case file from the territory not under the government's control; (ii) conducting a new investigation and trial; and (iii) reviewing the judgment based on the basis of the available material. "In the Court's view, none of these were viable options. As to the first, the effectiveness of the Parliamentary Commissioner's intervention would depend on the goodwill and cooperation of the forces controlling the territory not under the Government's control and not exclusively on the respondent Government's efforts. The Commissioner had in fact been unable to provide any help in a context in which hostilities in the area were continuing and no stable and lasting ceasefire had been established. As to the second option – conducting a new investigation and trial – there was no reason to doubt the domestic court's conclusion that no relevant material concerning the case was available as both the offences and the trial had taken place in the areas not currently under the Government's control. The third option – a review of conviction and sentence based on the available material – would entail an examination of questions of both law and fact and thus require access to the evidence. While the evidence was not currently available it might become so in the future. To examine the entirety of the issues in the case before such evidence was available might prejudice the possibility of a more informed review in the future," the ECHR's ruling states. Read alsoUkraine to use Girkin's statements as evidence against Russia in ECHRThe court also reiterated that in determining the reasonableness of the length of proceedings in criminal cases, the question of whether the applicant is in detention is a relevant factor. It thus attached importance to the domestic courts' decision to release the applicant on the basis of an extensive interpretation of the relevant legislation. "In sum, the authorities had duly examined the possibility of restoring the applicant's case file and done all in their power under the circumstances to address the applicant's situation. Indeed, the Court welcomed the initiatives taken by the authorities to attempt to gather evidence in areas under their control, to solicit the help of the International Committee of the Red Cross in facilitating recovery of the files located in the territory not under their control, and legislative proposals intended to facilitate examination of appeals in situations where part of a case file remained unavailable," the ruling said. The court's conclusion was made unanimously: "No violation of Article 6 – Right to a fair trial (Article 6 – Criminal proceedings, Article 6-1 – Access to court, Fair hearing, Reasonable time). The court notes at the outset that "the scope of its examination of the case is delimited by the fact that the application is directed against Ukraine only (contrast, for example, Ilascu and Others v. Moldova and Russia [GC], no. 48787/99, ECHR 2004‑VII) and that the applicant did not allege that his rights had been breached due to a deficiency in the mechanisms of international cooperation between Ukraine and any other High Contracting Party."